I *think* it's similar to the MMR matching etc. so it prioritises premade vs premade but will put you against a pub group if there isn't a premade one available after a certain amount of time. Heroes cost thousands of gold.. you get... 10 gold for a coop win, maybe 20ish for a versus win. That's probably the standard bs for the f2p industry now but still kinda frustrating, even the extra potential 200 a day from dailies doesn't seem like much in the face of those prices. This finally popped into my launcher window last night. Really picked a bad time for it now I have the Borderlands Pre-Sequel and a newly patched World of Warcraft to play, but whatcha gonna do? Played through the early tutorials, my only concern so far is that it seems like there isn't enough complexity in the systems, like they've pulled too far away from the Dota/LoL model, but it could be I haven't been exposed to all the systems yet. Yes, there are no items to purchase, but I think the level of strategy is similar, especially around positioning and reacting to where your opponents are. The maps are smaller than LOL/Dota from what I can tell, and each map plays differently due to the unique objectives in each. In short, once you're in actual games, I think the strategy will reveal itself. There isn't a lot of complexity, but it's not really a bad thing. Not having to remember the optimal build path for a hero can be a welcome change. The biggest difference in HotS from LoL/Dota is that there really isn't a laning phase. People will muck about in lanes early, but since there is no last hitting and experience is global, there's usually little point to sitting in lane very long once the map objectives start up. So is this polished, and feeling read for release, or is it still clearly a beta? I'm just wondering what the launch Window is going to be. It's definitely still beta for Blizzard, which is to say launch quality for any other company. There are still some barebones parts, mostly in the UI (the store, the profile) but the core game is flawless. eta: although some bonuses for getting your account beyond level 15 would be nice. Since they're not planning to wipe again hopefully they'll apply these retroactively if introduced. So, it's going to be a while then.. Uh, it's 30 for a versus win, 20 for a loss. Dailies are 300-800 gold, depending on the number of games required(3 wins, 3 games with x style, or 8 games). So you're looking at, bare minimum, 330 gold per day if you're only playing co-op, 360 if you lose 3. If you get the 8 games one, it's 960. Realistically, it's probably going to average out to 500 gold per day, with 1k to 2k gold bonuses for certain levels, and 500 gold for getting heroes to level 5, which takes maybe 10 games without any exp bonuses. Me too. And it's not like they don't make money off me. I still have an active WoW account that I hardly ever play! That still isn't much considering most heroes are priced in the 7k-10k range. It would be nice to have a first win of the day bonus like LoL does, for people who don't have much time to play. League champs are 6300, not that much cheaper. Plus you get lump sums of gold in Heroes at particular levels which makes getting an initial stock of heroes a lot easier. My experience is it's been about the same amount of time to get a new character in Heroes as it is in LoL. Maybe faster actually, since there's nothing to spend gold on except new characters, where as in LoL you want IP to buy runes. LoL does have the advantage of having a stock of older characters for 450 each, but again... runes. Okay that's promising, I just have not had any of the bigger Dailies yet. It looks like you can also carry over dailies that you do not finish up to a total of 3 which is further encouragement. If you can average 3 games a day, you'll finish every daily without any problem. That's 45 minutes to an hour, which is 1-2 games of LoL/DOTA2. So even then, it's not terrible. Tonight, I played for about 2 hours and got 8 games done. I finished off 2 "play 3 as" dailies and 1 "play 8 games" daily. Got me enough gold to buy Zagara. Thats one thing I like is the ability to be able to miss a day or two without worrying about missing potential gold. LoL i felt like I had to win a game every day for that FWOTD bonus. Granted a 10 minute co-op 3v3 would do it, but still it's nice for poor memory. Ya, requirements every single day turn me off so quickly. HoTS works like Heartstone, you can have up to 3 dailies, and often if you do have three there will be ways to overlap them. At the moment i have play 3 games on specalist and 3 games as a starcraft hero...If only i had bought abathur after the reset, oh well:) At least i will get enough gold from the dalies to finally afford him! He is totally the best. Laning has its advantages. If a team goes 5 man gank and fails to make it happen then the opposing team will be gaining steadily in XP in lane. Forcing a team fight when you have your ulti and the other team is lagging behind is delicious. I've probably said it before, but the way you upgrade skills in the game is such a strong point for me. Being able to adapt on the fly to your own team comp, enemy team comp, enemy tactics and the map you are playing is such a good feeling. It also means you can experiment in games a bit. Go your prefered build with one or two changes just to see what happens. During the week I had a disconnect where my bot replacement bought a talent i would never have considered (chen, 200% damage on next auto attach after a flying kick), but i ended up really liking it when i reconnected. It isn't in my usual build, but i can see the use of it where my team already is beefy enough to not need a tanking talent there. Adding the 1s root talent to that one would be fantastic for shutting down enemies trying to escape. My feeling is that up until level 10 you really want to have one person in each lane as much as possible or your team can wind up with a fairly hefty XP deficit. Still need to pop out occasionally to get raven tributes and so on, but on blackheart's the early game seems to work best having two getting coins and one in each of the lanes to maximise XP. I'm not a very advanced player though. The core game is in pretty good shape. They're still tweaking some elements of the UI, but the only bug I've run across is one where alt-tabbing out of the game while in a queue can give it problems when it tries to start the match. It's a known issue though. Only tried him once or twice, but he feels pretty underwhelming. Not had much joy with post-nerf Li Li either. 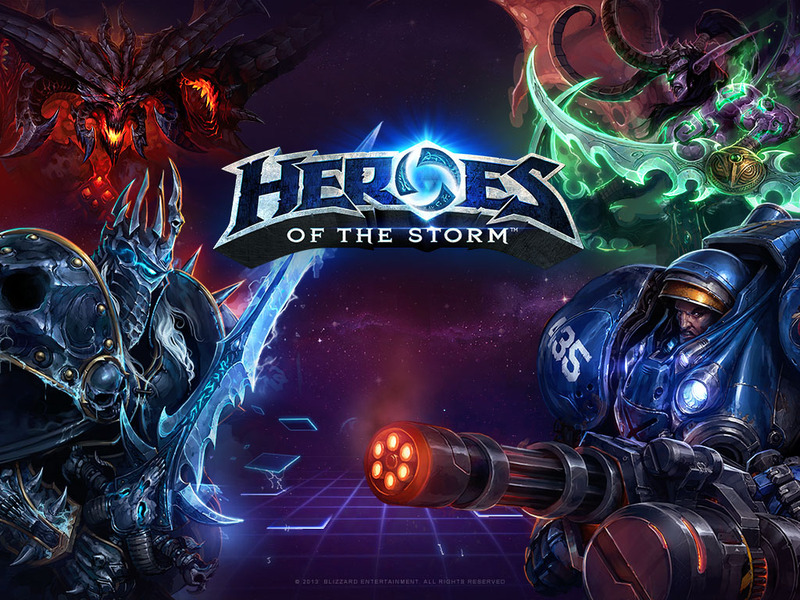 ...reach Player Level 20 in Heroes of the Storm between Tuesday, October 7 and Tuesday, November 18, 2014. Upon doing so, you’ll be automatically entered into a random drawing, in which thousands of lucky players will be selected to invite all of their regional Battle Tag and Real ID friends to join them in Technical Alpha testing! This has motivated me to hit 20, a good way to get some fresh blood into the alpha. Happy to friend all of you on BNET for this one (plus your fantastic company!). Nothing for me but I only signed up a couple weeks ago.